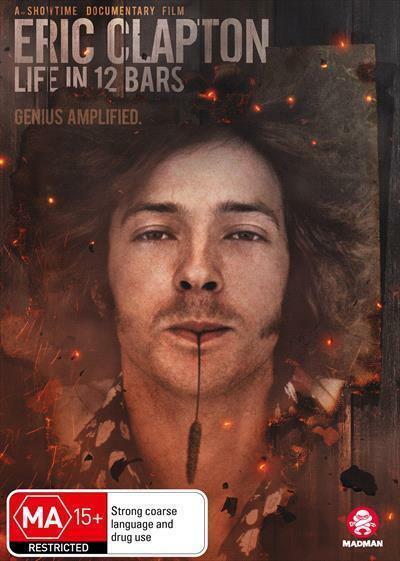 Eric Clapton: Life In 12 Bars is an unflinching and deeply personal look into the life of legendary 18-time Grammy winner Eric Clapton. Told through his own words and songs, it is a moving and surprising film about one of the great artists of the modern era a Grammy Lifetime Achievement Award winner, and the only artist ever inducted three times into the Rock and Roll Hall of Fame. Spanning more than half a century of legendary popular musical innovation, the film contextualizes Eric Claptons role in contemporary music and cultural history. This rare and deeply intimate film reflects on Claptons traumatic childhood, his long and difficult struggle with drugs and alcohol and the tragic loss of his son and how he always found his inner strength and healing in music. The documentary features extensive interviews with Clapton himself, along with his family, friends, musical collaborators, contemporaries and heroes including late music icons B.B. King, Jimi Hendrix and George Harrison.